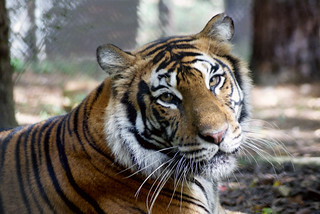 Dr. Lamar Hunter has just joined the Carolina Tiger Rescue team as a wildlife veterinarian. After he graduated from NC State’s vet school, Dr. Hunter studied under Dr. Angela Lassiter at Carolina Tiger Rescue. He helps with physicals, medical procedures, and loves seeing the animals improve under the care of the awesome vets at the rescue. Dr. Hunter enjoys working with all the animals at Carolina Tiger Rescue, but his favorite is the lions. Last week was tough with the passing of Max Tiger, but one thing we have to remember is that we will continue to have animals who need us and we have to keep giving those animals our best, even when we are feeling down and out. A good reminder of that is our new cougar cub, Beau! This handsome fellow is settling in really well and we are so excited to have him! I was able to go down with our Lead Keeper yesterday to watch how he is doing. 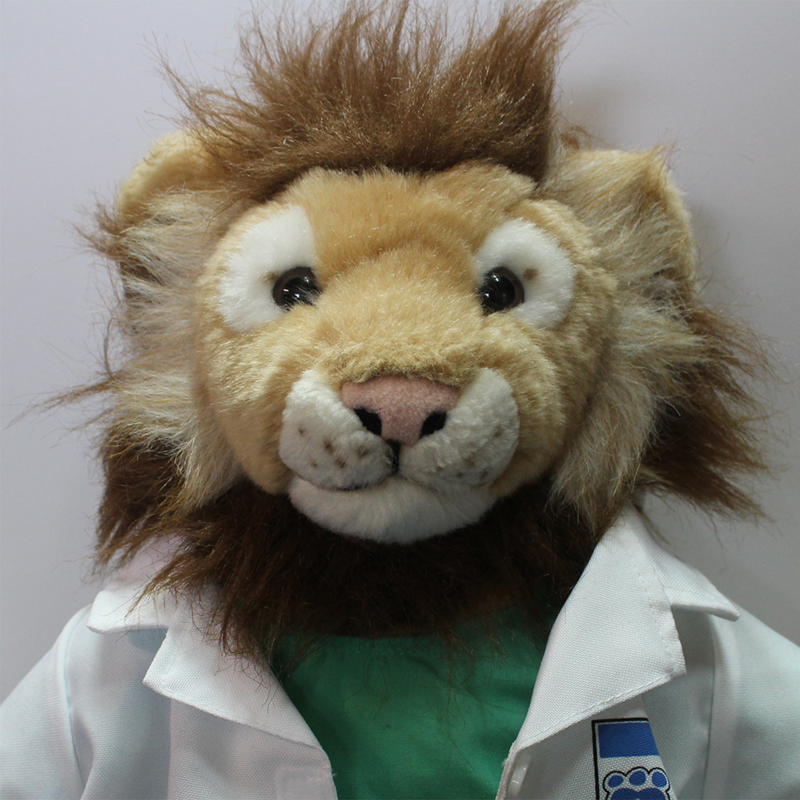 He was a bit unsure when he first saw me; I’m not sure if it was the lab coat or the large mane of hair on my head. This cougar cub has heard the lions outside when they start their “oofing” noises, but he hadn’t seen one yet, so I can’t really blame him for being nervous. I am always a bit nervous when I come across a new species too! 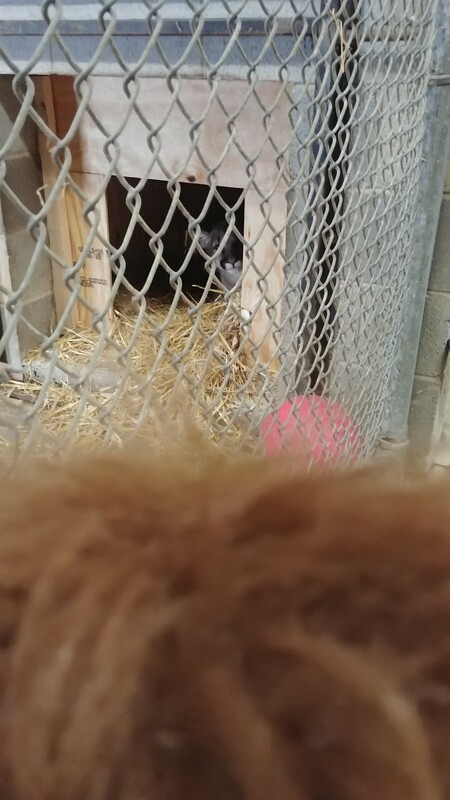 The picture to the right here is of Beau getting his first glimpse at me as he sits in his denbox in quarantine. My apologies for the crazy mane; I didn’t have time to groom it this morning. We clean quarantine every day to ensure the animal always has a clean area. To do that, we shift the animal into one part of the enclosure and close and lock a heavy door so they can’t get in while we are inside cleaning. Beau loves tearing up boxes and paper, so we had a bunch of cardboard and newspaper to clean up. We made him two straw beds and hid some meat around the shift for him to find. Once we were done, got all of our tools, got out, and locked up, we shifted him to the clean side so we could close and lock him out of his den box and clean that, too. Once all that was done, we were able to sit down and feed him some treats. This helps desensitize him to people, helps him understand that his food comes from us, and teaches him that shifting or leaving one part of his enclosure for another is a good thing because he gets treats and fun enrichment. This is when I was able to get a good look at him and see how he is progressing. He is looking and doing great! 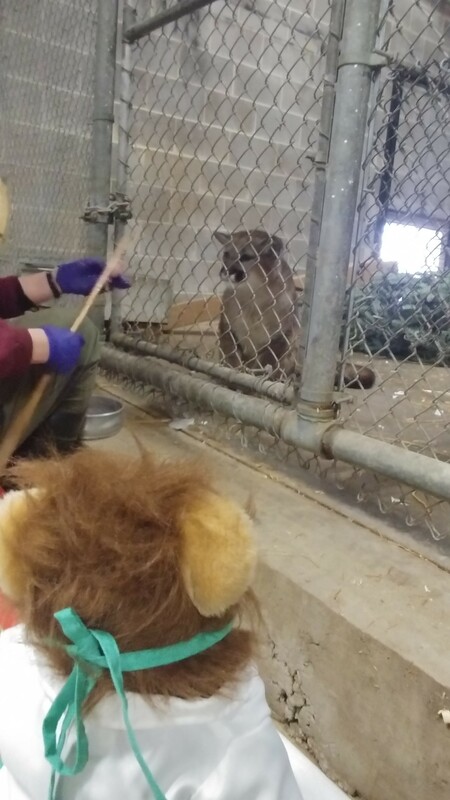 Although he growled almost the whole time, he took the treats off the stick and came and sat right in front of our Lead Keeper! He was still a little nervous around me, but I am hoping the more he sees me, the more he will get used to me. We are all so excited with how he is doing!